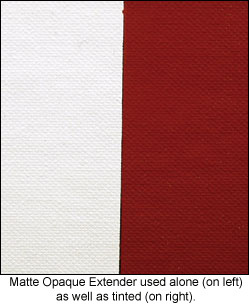 Increases the volume of paint, while maintaining the opacity of the colour it is mixed into. Economically doubles the volume of paint by adding up to an equal amount (50%) of medium to colour with little or no noticeable loss in opacity or change in hue. Opacity of colours mixed with Liquitex Ultra Matte Medium will be higher than if the color had been thinned to the same degree with any other medium except Modeling Paste. The degree to which the colour can be extended will vary among the different pigments. 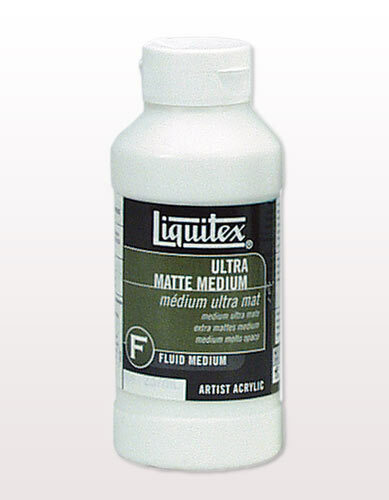 When over 50% is added, Liquitex Ultra Matte Medium can act as a weak tinting white, increasing the value of the original color approximately one level. Light colors will be affected less than dark colours. Colours mixed with Liquitex Ultra Matte Medium dry to a matte finish. A fluid with high resin solids that dries to a matte finish. 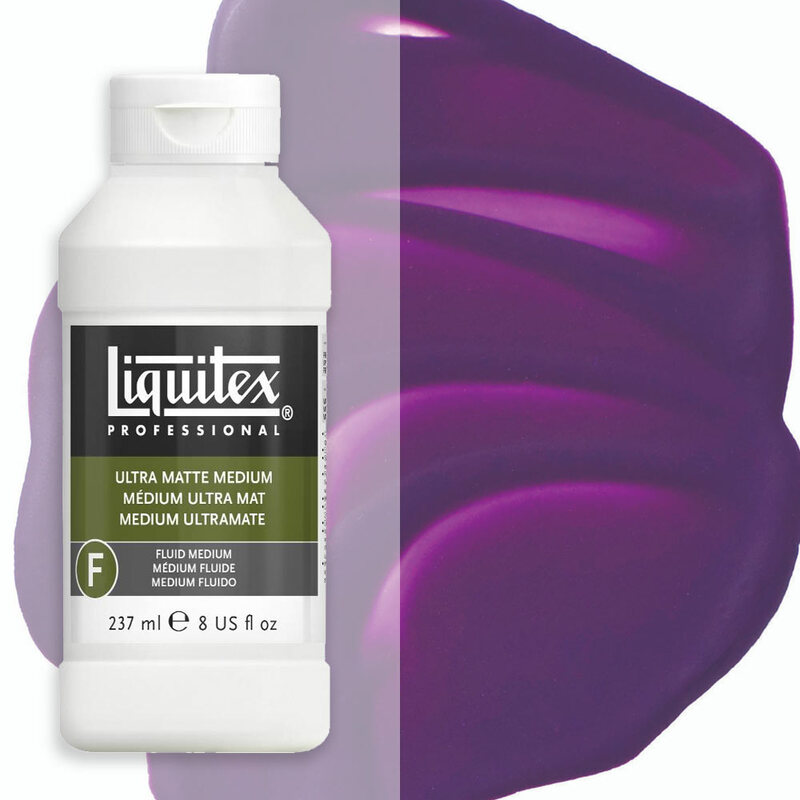 Ultra Matte Medium is used to maintain opacity and extend opaque colours to double amounts, without changing the colour. Ideal for large projects where transparency is not desired. Dries to a dead matte finish with absolutely no level of sheen.